I have 2 content types. My main goal is to output Medical Procedures and their related content types. Please note that I created template overrides using the seb_minima template so I could control what data I wanted to output and how I wanted to style it in my Content View. OS Training has a great introductory SEBLOD course with James Morrell (Install and Override a Template) that can teach you how to do this, but some level of coding experience (php, html, css) is required. SEBLOD also offers a little tutorial on overriding positions in a template, which is crucial to understanding how to output the fields you created in the backend. You will also need to install the Dynamic Checkbox field or you can use the Dynamic Select field which comes with SEBLOD by default (I think, lol), but the Checkbox works better in this use case because it allows you to easily select how many content types relate to another content type (in my case I am selecting how many Preparation Instructions relate to a given Medical Procedure - a many to one relationship). 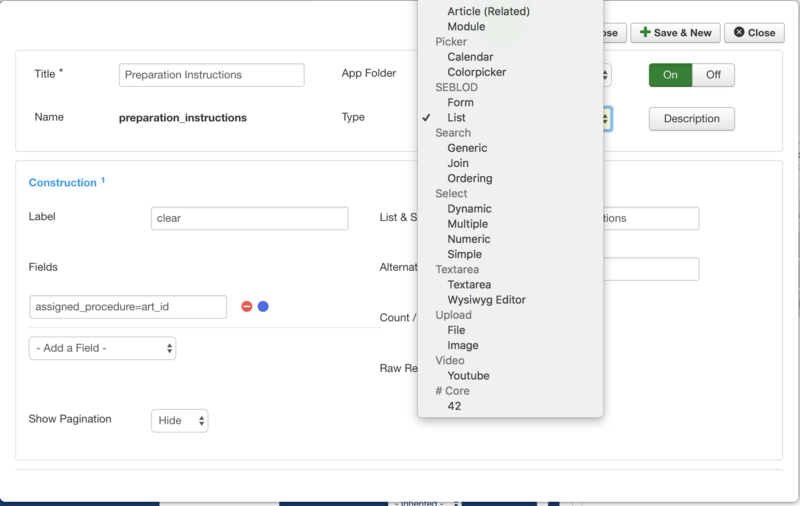 Go into your Content View and add all the fields you'd like to display (More than likely you'll want to add the majority of the fields you created in your Form View). Go to the Item View and drag or add all of the fields that you'd like for your list to display/output in the mainbody section. (Optional) Use the seb_minima template - As I previously stated, I wanted to control the output of each content type and list. The required "List & Search Type" field should have the exact same name as the "List & Search Type" that we created in Step 4. 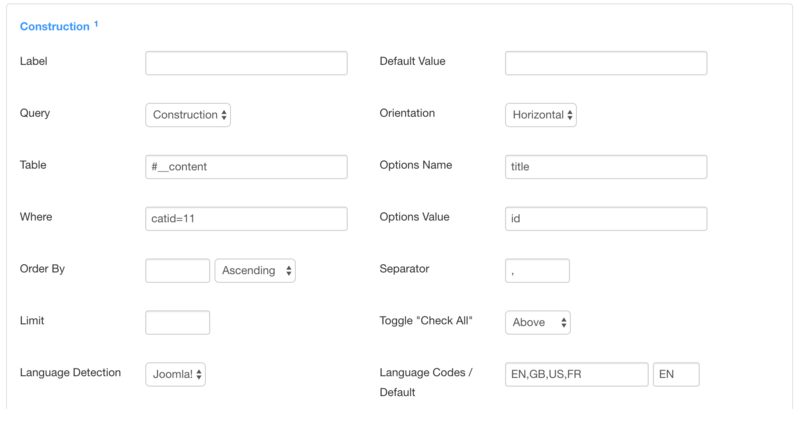 In the Construction Section > Fields, add the Dynamic Checkbox field that you used in your "List & Search Type" (i.e. 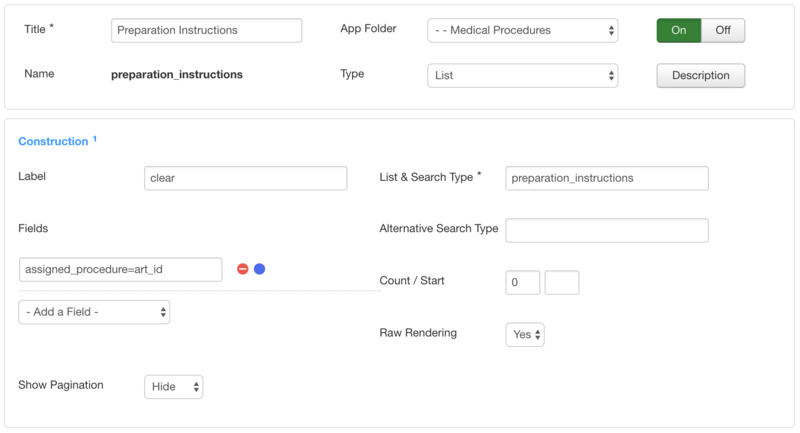 The field I created was labeled Assigned Procedure because I would be assigning a specific Preparation Instruction to Medical Procedure). You'll then see that SEBLOD will automatically show the name of the field now (i.e. assigned_procedure). That's all folks. You should now be able to view your article/content type on the front end and depending on your template selection and overrides, you'll now see that your related list is displayed within your content type. I hope this has been helpful. I am fairly new to SEBLOD so I apologize if this was difficult to follow but finding what you need isn't very straight forward. SEBLOD is an outstanding CCK with a lots of possibilities, once you got the features and options. Thats how CCKing on Joomla! makes fun.